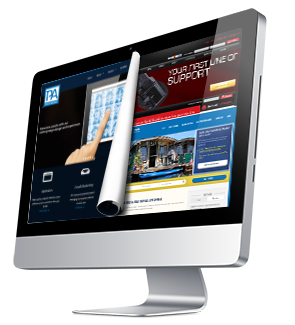 Our teams will create your website to look great and function on all screens. Each website is designed and developed for you with your goals and budget in mind. With hosting included, you can rest easy knowing that your website and its software are performing at optimal quality. Our cloud based infrastructure is Cached, Load Balanced & Secure. 100+ Addons and 40+ content elements empower you to build complex page layouts with ease. Galleries, Videos, and more. Take full control of your content and let your imagination go wild! Custom tools, Curated Plugins, Moderation, Content Filtering and more baked right in. Plus no headaches, no down time no upgrades to manage. Manage your content not your software. ProductAdvance is Headquartered in Delray Beach, FL and all of our sales, support and development staff is located in the US. Our expert teams are standing by to get your website online today! If you’ve ever used WordPress you’ll feel right at home with our selection of tools and features but if you’re new, our tutorial will show you the basics and give you the confidence to manage your website content easily! Use the form below to give us some general information on your project. Several other options are available and our teams will contact you to get your project started and discuss your budget ASAP! If you need to include a Shopping Cart, turn on the switch below. If your project requires additional pages please select below. We use no templates here. Each website is designed and developed for you with your goals and budget in mind. Don’t be too wordy with too much text and content. Get to the point. Websites. Email Marketing. Social Media.